In times of cash emergencies, payday installment loans are a good source for instant cash. 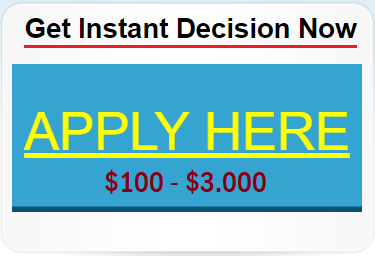 They provide the most accessible and quickest way to get hold of instant cash in times of difficulties and emergencies. The application for payday installment loans is easy especially that lenders now offer online applications. Moreover, no credit checks are performed so people with all types of credit scores can easily qualify. Payday installment loans are unsecured loans with very affordable repayment terms. They can be paid in easy installments; however, they may come with high fees and interest rates. Since they are specifically designed for urgent cash needs, payday installment loans are usually due within two weeks to one month. Sometimes, borrowers are unable to cope with their payments leading to late payments and even defaults. Most lenders of payday installment loans charge penalty charges and late fees for delayed payments. This is the reason why many borrowers become trapped in debt. Extending loan repayment terms or rolling over the loan are additional repayment options offered by lenders, but they may come with added fees. Tip 1: Consider the APR before signing up for a payday installment loan. Usually, payday installment loan companies charge around 15% of the principal amount borrowed. Calculating the APR, the range will be about 400% or more because of the short repayment period. There are even lenders who charge more than that. So, it is important to shop around first and find low rates and the best deals. Also, read the fine print regarding the costs of the payday installment loan and ask your lender regarding the calculation for your monthly payment. Tip 2: Check the terms for loan extensions and rollovers. There maybe times when you miss a payment. If this happens, your lender will charge late and penalty fees. Oftentimes, lenders will roll over your payday installment loan to the next payday. If you still miss the payment, it will again be rolled over. If this pattern of rolling over the loan continues, you will be surprised that the finance fees will be more than the original amount you borrowed. To avoid this from happening, avoid extending your loans and rolling them over. Tip 3: Pay back your Payday Installment Loan on time. This is the best answer to avoid incurring high fees on your loan. What makes the loan more expensive is when you become lenient with your monthly payments. Also, avoid partial payments as this will not erase your balance from the lender and you will still incur additional fees. Tip 4: Have some extra cash or an emergency fund. This may either be used as additional payment for your payday installment loan or a way to prevent you from being tempted to borrow using these loans. Having an emergency fund will help you get through without depending on a payday installment loan for an instant cash resource. You may use a credit counseling service to help you plan your finances properly and take control of your monetary life. A credit counselor can also advise you about how to find alternative financial resources and reputable lenders. Avoiding the high fees of payday installment loans is easy to do if you have diligence and determination. Is A Payday Installment Loan Worth The Risk?